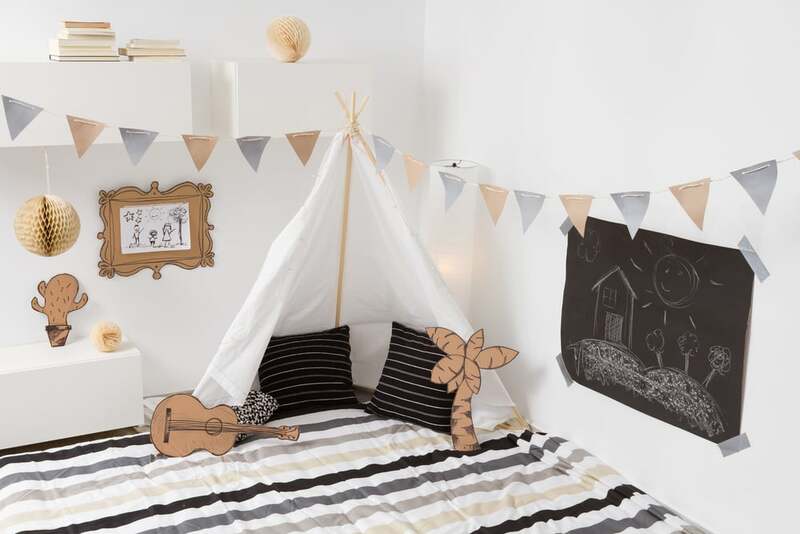 Planning your kids’ playroom can be a fun experience considering how this kind of project involves many colorful decorations and pieces that spark the imagination for children. Designing the ideal playroom requires the understanding of certain aspects to ensure that your children feel comfortable in their dedicated space. 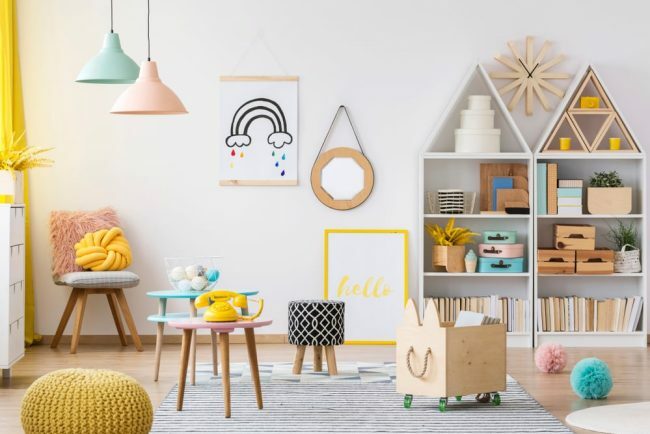 Regardless of the room you choose to turn into a playroom, it’s important to select the right decorations and follow the right design recommendations to keep the area organized and engaging for the children. By separating the playing areas you can create a better environment for your child. Kids can find it difficult to focus on just a single activity for a long period of time. It’s important to enable him to have fun in different ways and prevent boredom. This can be achieved through a playroom that’s set up correctly. Consider each area in the room and figure out how it can be modified to suit a specific purpose. For example, you could take one corner of the room and turn it into a reading nook. Another spot could be dedicated for arts and crafts while the TV has its own little area where the kid watches videos. As long as items needed for these activities are easily accessible, your children should never get bored too soon. As a bonus, the room will feel much better organized and may help the kids to stay focused more effectively. 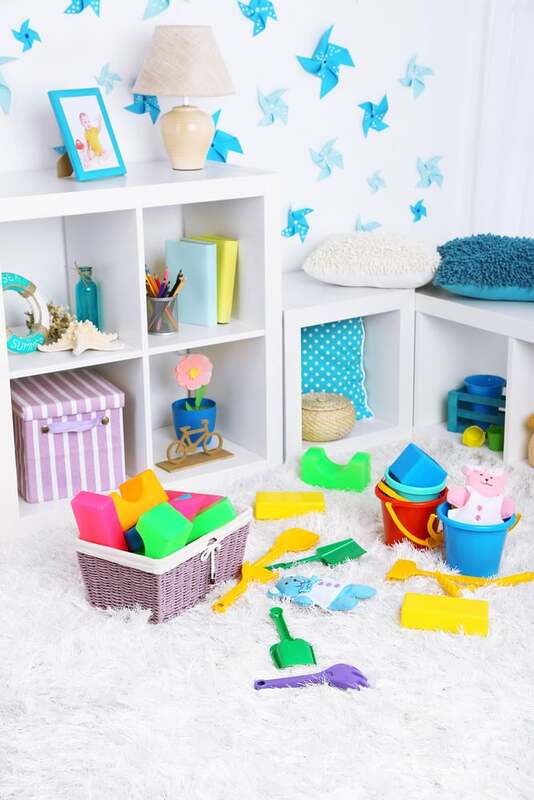 Distinct activity areas are essential for any kids’ playroom. The playroom of any children will usually contain a significant amount of items. Whether it’s toys, books, or other objects, these need to be properly stored. The best way to approach this problem is by ensuring that you have adequate storage space. Things shouldn’t get in the way, but they also need to be close at hand for your kid. 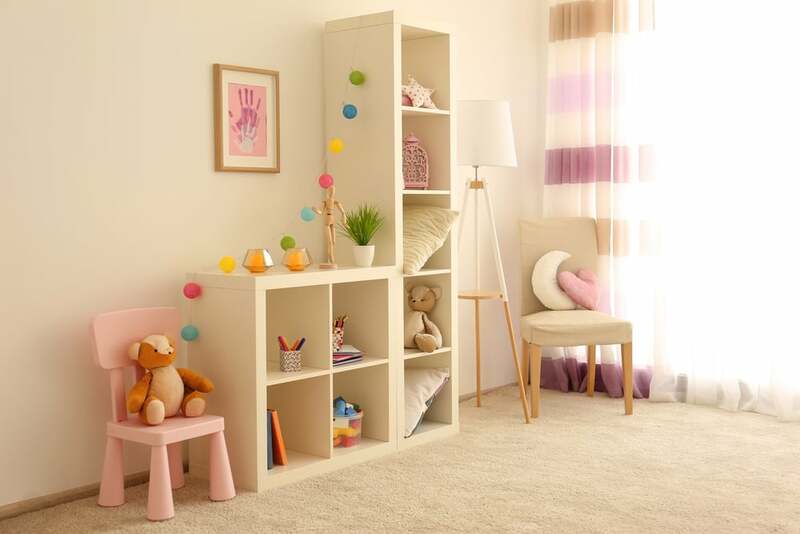 Ideally, you should try to incorporate some storage solutions as part of the design of the playroom. 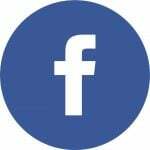 It depends on the child’s more particular interests, but you will most likely require different storage containers and areas to keep all the items neatly out of the way. When you go shopping for storage elements, try to go for versatile pieces in neutral colors. Always consider how your child’s storage needs will evolve over time. Take a look at this great cubby bin organizer from Amazon. The playroom of your kids shouldn’t be bland, that’s pretty obvious. Your immediate impulse might be to invest in lots of colorful elements or to create a specific theme through the furnishings. While that’s usually not a bad idea, it’s recommended to keep in mind that your child’s taste can change at some point in time. For this reason, it would probably be best to stick to accessories when it’s time to add some color to the playroom. As your child matures, these accessories can be easily changed or mixed in different ways with other patterns or colors. Whether we’re talking about rugs, pillow covers, or blankets, all these accessories can save you the trouble of having to make bigger expenses and change larger items. Here’s a colorful rug found on Amazon that can complement the look of any kids’ playroom. 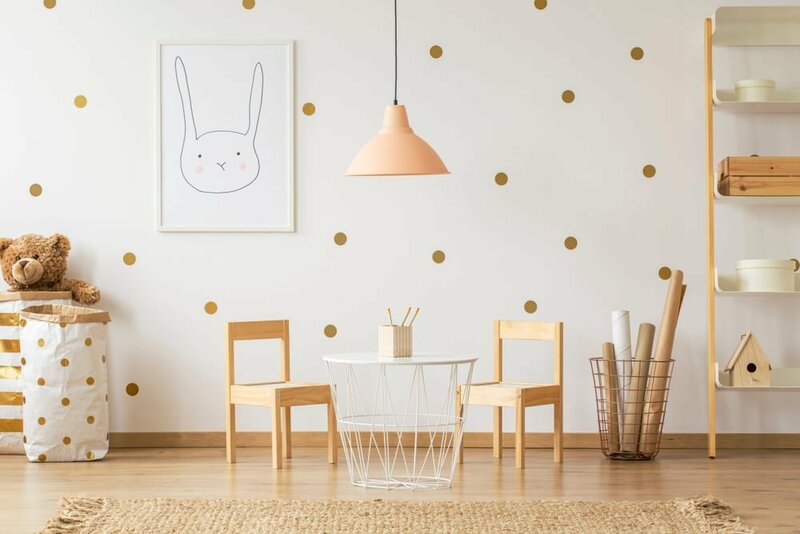 Walls in the children’s playroom should convey a carefree vibe and are pretty much expected to be fun and more creative compared to the walls in the rooms of adults. Those who already plan for a specific theme should strongly keep in mind the role of walls to create interest points. Decorating the walls in the kids’ playroom can be done in various ways. 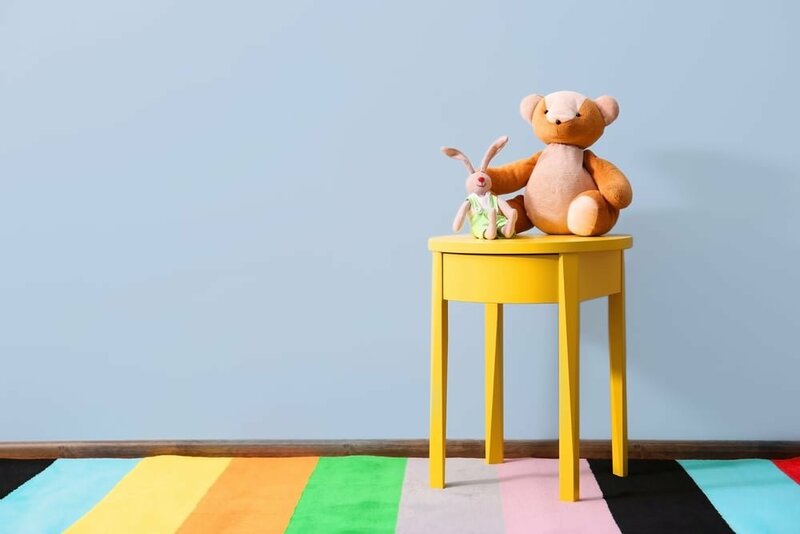 We recommend sticking to neutral paint combined with colorful decals that are fun to look at while they can also offer an opportunity for education. Decals are great as they can be easily changed when the child feels the need for something fresh. Other options include mural painting or wallpapers. Check out this stylish world map decal from Amazon. 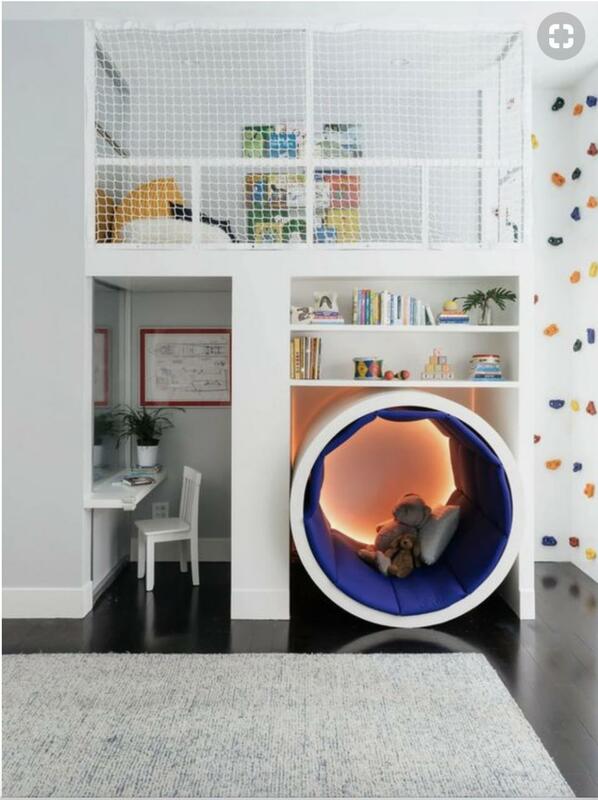 Kid-friendly seating is a must for any kind of playroom like this. Your children will like having a workspace, an area where they can sit comfortably at a table and play. While plastic chairs are cheap and simple to clean, wooden models will probably look more stylish in most environments. Just take a look at this lovely set of solid wood chairs from Amazon. Play chairs can have splayed leg styles as they’re usually more stable for young children. 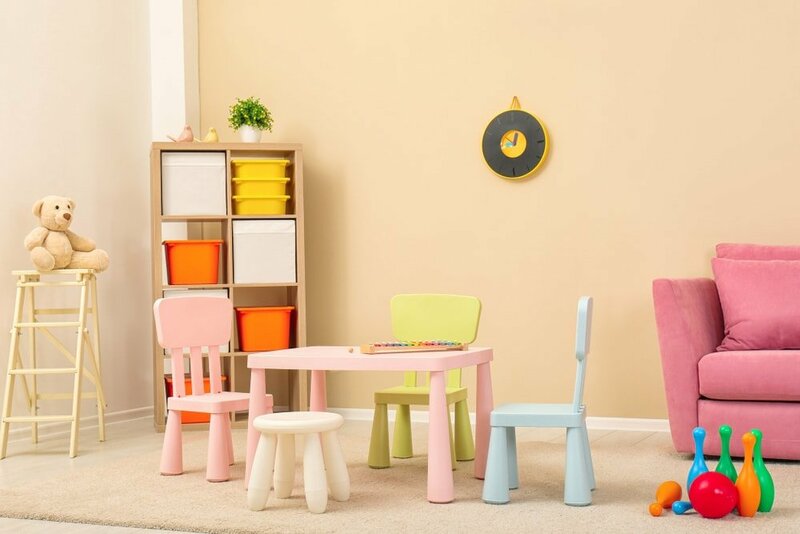 When selecting fitting chairs for the look of the playroom remember to go for some variety to add some bright pops of color. It’s recommended to allow each child to pick their favorite color. Other great options are bench seating or mini chairs without arms. Sometimes parents will wish to join the children at their play table so add some sturdier options as well. Make sure there are enough seats in the room to encourage socializing with friends or for some relaxation time. Sofabeds are fantastic options as they can achieve multiple purposes. If space is an issue, perhaps going for a bean bag would be a more exciting solution. Here’s a playful model from Amazon that seems to fit the bill. The floor in the playroom will need to be more resistant to scratches and spills. We recommend going for vinyl flooring solutions as the polished surface enables children to play comfortably. Rugs and playful mats can enhance the floor’s potential and we also like the idea of a fully carpeted floor if you wish to focus on texture that seems to envelop you. It’s important to find the right balance between smoothness, softness, and simple maintenance. Whether by adding it on the wall or through an element like a cupboard, having a blackboard represents an excellent addition for any kids’ playroom. It enables your children to have the perfect spot for scribbling instead of going for the white walls in the room. As a bonus, the look of the playroom is also enhanced by the contrast created by the blackboard against white walls. Alternatively, you could go for a whiteboard which allows you to avoid the creation of messy chalk dust. That can also be a brilliant solution to encourage the creativity of your child. You will just need some colorful markers to start writing. 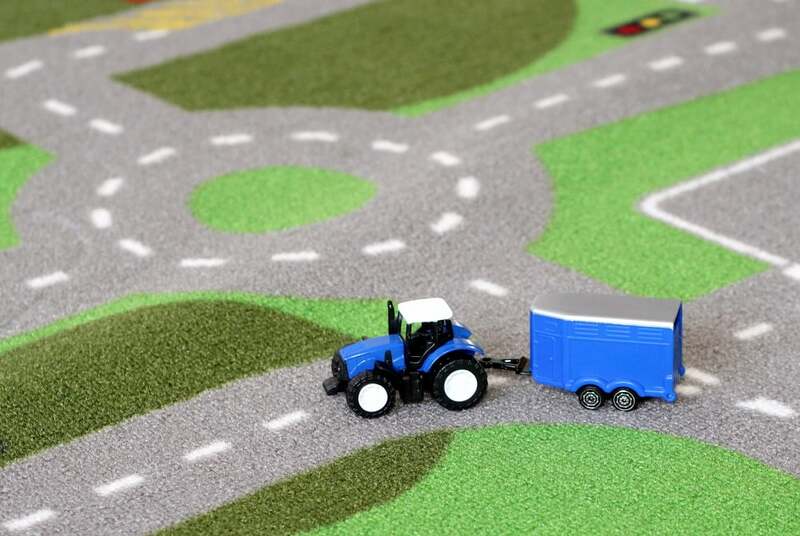 Children love to play on the floor and you can help their imagination by placing a themed road mat. Instead of driving toy cars on the furniture, you can provide the right track to have some fun. A great advantage of this kind of mat is how easily you can roll it up when it’s not needed and then set it up just as quickly. 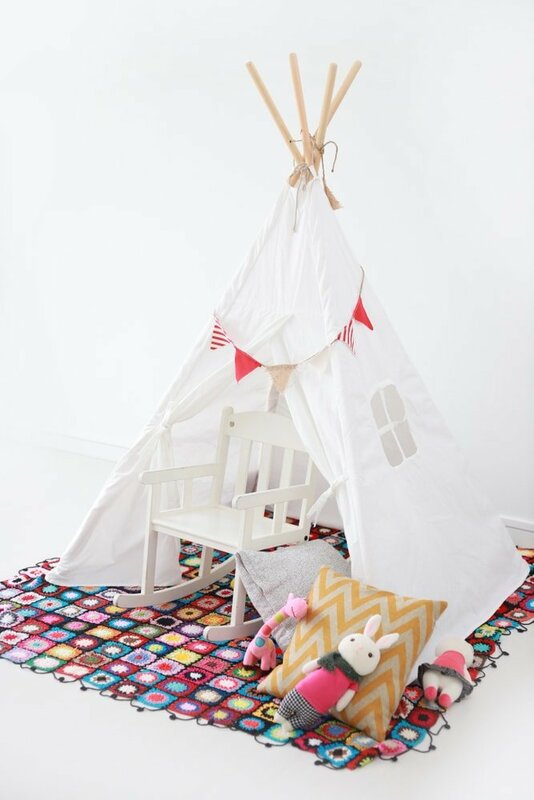 The playroom needs plenty of space and a flexible environment to encourage imaginative play. An excellent solution is to allow more natural light inside the room through the addition of large windows. Adding a fresh coat of paint to the wood elements can also enhance the airiness. Some texture coming from rugs boosts the welcoming feeling of the room. We’ve mentioned how important it is to have plenty of natural sunlight in the kids’ playroom. When you can’t rely on natural light, it’s important to have some lighting solutions to take over. 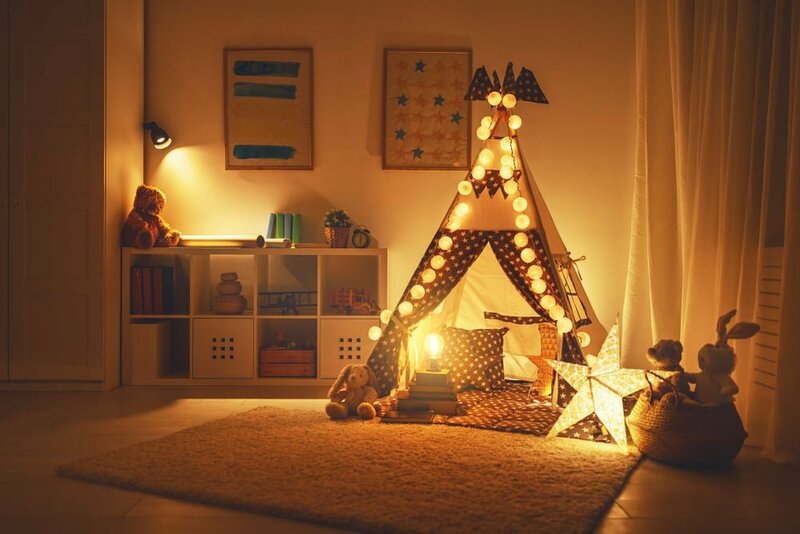 Your child needs to be able to see everything clearly, so it’s essential to outfit the room with some reliable light. Aside from the ceiling fixture, consider adding smaller lamps around to enhance the atmosphere and add some cozy vibes. When it’s time for studying, children will require good lighting for their workstation. Here’s a fun table lamp from Amazon that can be purchased in a large assortment of colors to fit different styles. 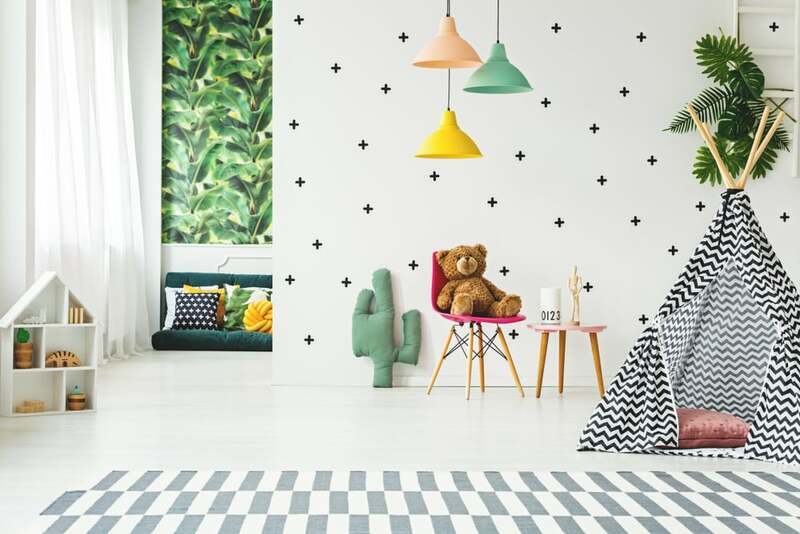 While painting the ceiling in other rooms can be difficult to pull off, the kids’ room can definitely benefit from some more creative patterns there. Adding stripes on the ceiling in a vibrant yellow is a great example of creating visual interest that your children are sure to appreciate. By sticking to a mostly monochrome décor you can also make a more striking impression with a painted ceiling. 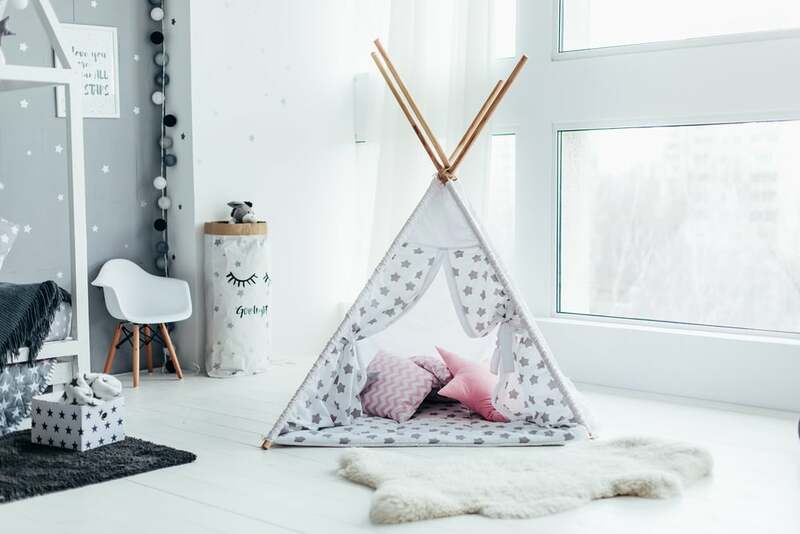 Instead of the usual furniture pieces, why not try some more creative options like making a tent or den? More adventurous children are sure to have a blast with more interesting structures that are also embellished with vibrant accessories. Check out this interesting bunk bed which has been modified to resemble a hut playhouse. It’s multi-functional as it enables children to sleep comfortably while they can also play games. Another advantage is how it saves some extra space in the room. While the playroom of a child is designed with having fun in mind, there’s also the educational aspect that should be taken into account. 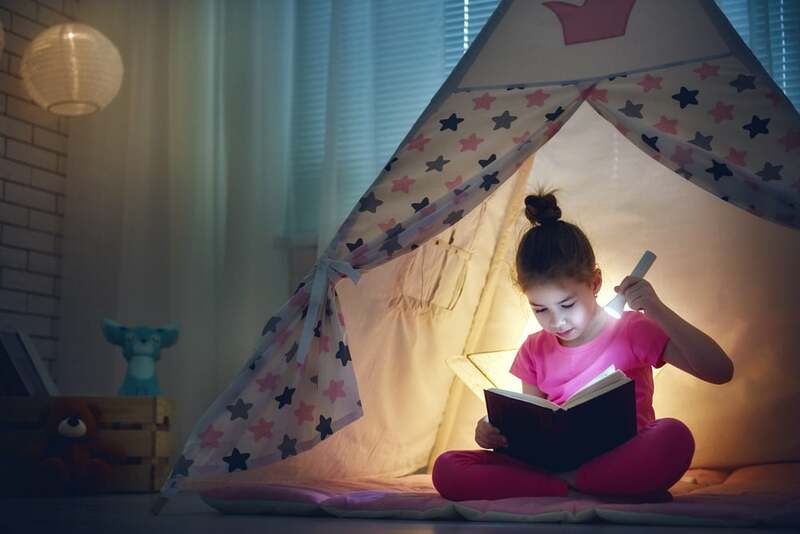 Reading and looking at picture books should be encouraged just as much as lively play and that’s why having a dedicated nook could be a helpful addition. Aside from a small bookshelf filled with books, you can make the area feel cozier by adding soft seating options and large plush toys. Displaying your child’s artwork can be a great idea for adding a more personal touch to the playroom. This can be done with the help of a picture board where the treasured artwork is proudly put on display. There’s no need to create something very fancy here as decorating a small board with colorful ribbons should suffice in most cases. While playrooms are usually designed to be as colorful as possible, sometimes it’s better to choose a crisp white look if you prefer a more modern style. If you have enough space available, you could place some playful elements in the center while the walls can be used for storage and stylish loungers. 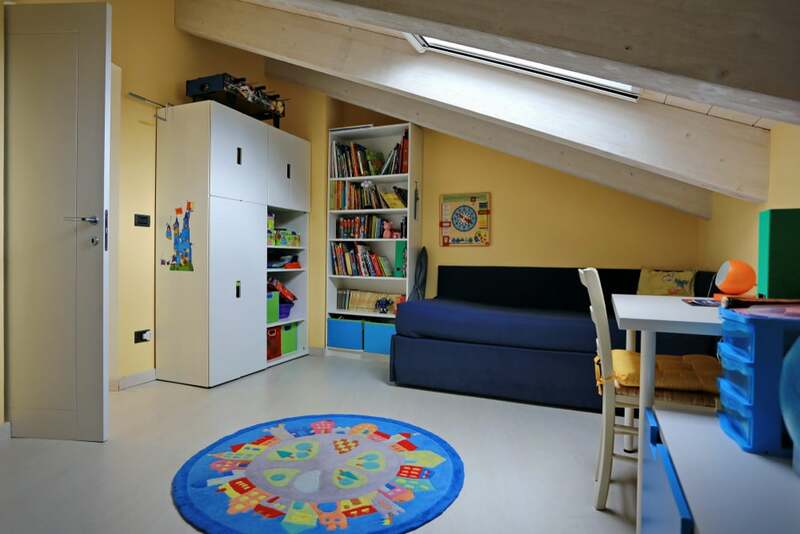 The attic can make for an excellent place to create a special spot where children can have fun and relax. Some stylish wall decorations can transform the place with a more playful vibe. Other elements that can contribute are framed artworks and the carpeted floor that adds cozy texture. The comfort is enhanced by the presence of a tent with geometric throw pillows. 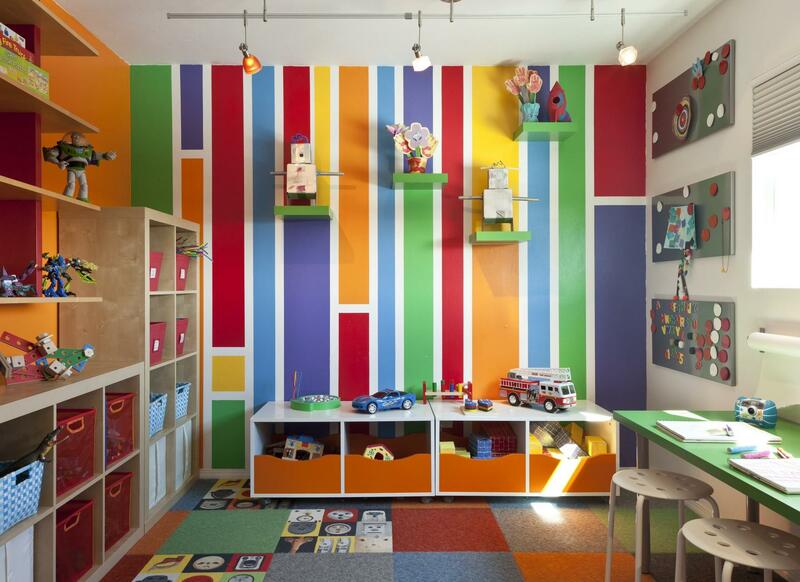 A brilliant idea for brightening a playroom is to include color blocking. It’s a good idea to match a wall with the floor and keep the colorful environment balanced. It’s also nice to enhance the color blocked wall with some other elements like floating shelves where you can display some more vibrant decorations. 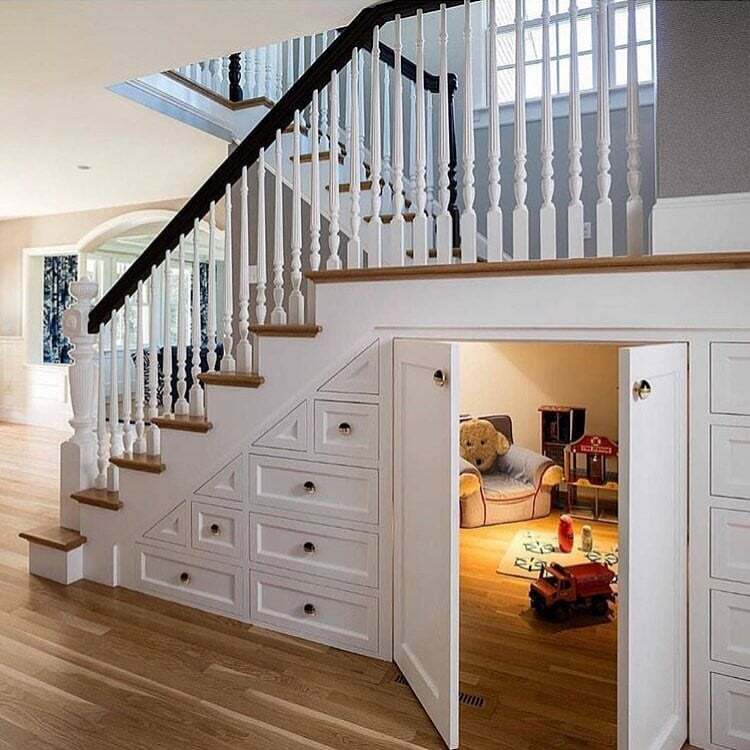 If you like the idea of using the space under the stairs in a smarter manner, you’ll definitely like the idea of using this area as a kids’ playroom. This could be the secret clubhouse of your kid. 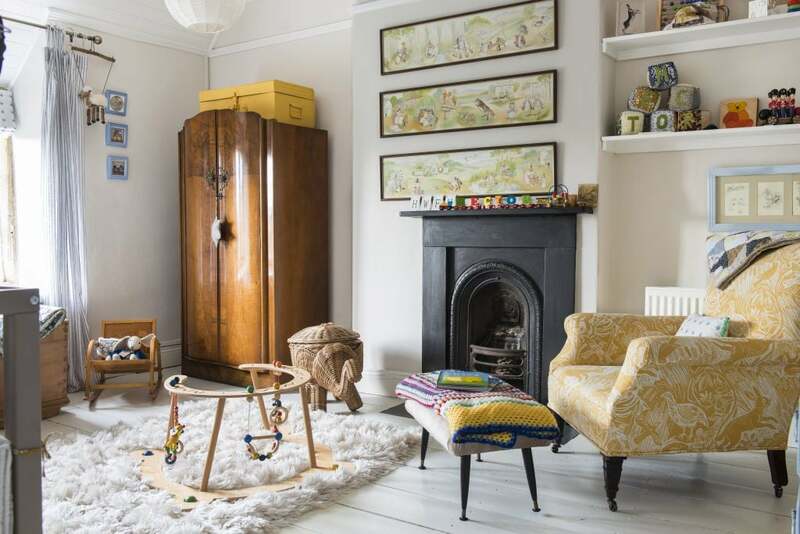 Decorate this cozy retreat with kid-sized furniture and plenty of toys. Using the height of the room to your advantage means you can incorporate some interesting elements such as a climbing wall or safe ladders for children. It’s all about boosting the fun factor in the playroom by enabling the kids to engage in more unique activities. This is probably not a good solution for smaller spaces, but if the room allows it, don’t miss out on adding a climbing wall with correct protection. As antique furniture is now easier to find than ever, perhaps going the traditional route for a kids’ playroom would be a gorgeous idea. There’s a certain elegance when designing a playroom to include some antique elements and more traditional accessories. Victorian-style toys and accessories can be found in many antique shops and offer the kind of timeless elegance that seems to be missing from their modern-day equivalents.